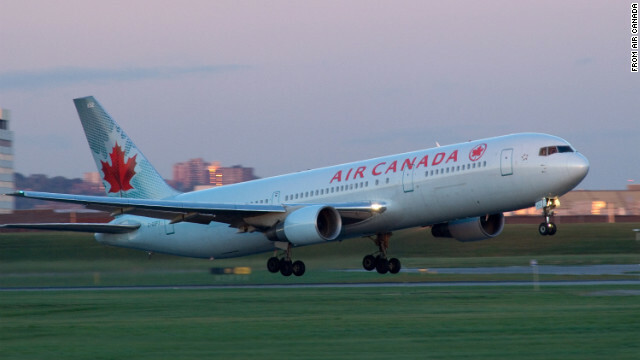 An Air Canada 767 like this one was involved in a sudden altitude shift that injured passengers. Overheard on CNN.com: It's a bird ... it's a plane ... it's ... Venus! A report released Monday about an incident that sent several passengers flying out of their seats on an Air Canada flight on January 14, 2011, has got many of our readers testing out their commenting wits. The report says the first officer woke up from a nap - the rules allow for a brief "controlled rest" period at cruising altitude - and suddenly mistook the planet Venus to be another plane overhead. He panicked and the plane went into a dive before the crew corrected its position so an actual approaching C-17 plane could pass underneath. HitomiAdrien: "This doesn't make sense to me. Why would he make such a brash move? Even if it were another plane, at the size of a dot there has to be other protocol (trying to locate that other plane on their GPS?) and a significant amount of time to get out of the way considering how big Venus isn't from the Earth. Therefore; why take a nose dive on a dot of light before taking other precautions that you were trained to do in school and through experience?" WithReason7: "Venus on a clear night at 35,000 feet is brighter than airplane lights. Had it been plane on a collision course, they probably would have had about five seconds to avoid collision, not enough time to check GPS and have a nice chat ..."
This person gave an actual piloting perspective. jsnight: "It happens more than you think. A pilot almost turned an airplane upside down when he mistook stars for yard lights and thought they were upside down. I have over 20,000 flight hours and although I've never taken any evasive action, I have been startled. You can look down at a chart, look up and think you're in an unusual attitude." 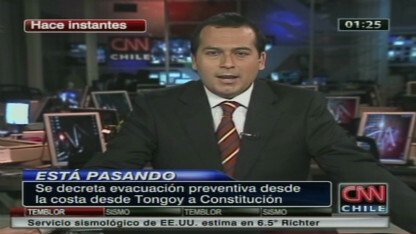 A CNN en Español anchor held onto his desk as an earthquake rattled the studio during a newscast in Chile. 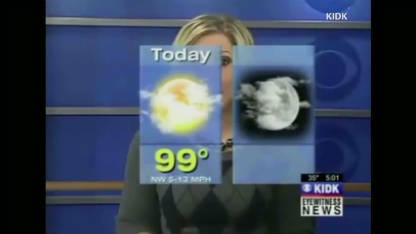 News anchors are trained to remain cool, calm and collected during a live newscast. But when things go wrong, some anchors handle the stressful situation differently than others. You've "gotta watch" how these journalists reacted live on the air when an earthquake rattled a news studio, weather graphics went amok and a raccoon invaded a morning show. 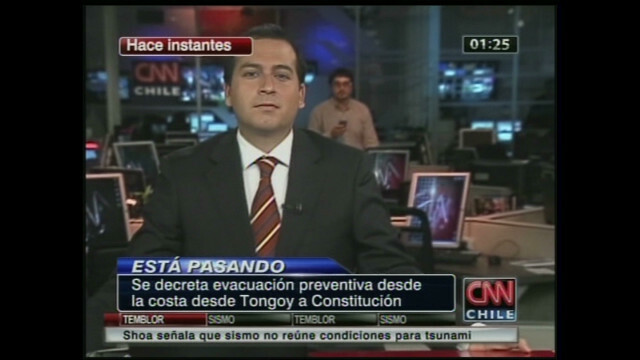 A strong earthquake rattles a newscast on CNN's sister network, CNN Chile. Mudslides, power outages and a lot of shaking followed a 6.7 magnitude earthquake in Chile that was centered off the coast of Valparaiso. Watch how CNN anchor Rafael Venegas handled the earthquake as he reported live on the air. From cameras attacking anchors to random on-screen graphics, CNN's Jeanne Moos reports on TV run amok. CNN's Jeanne Moos makes us laugh as she revisits news bloopers from both local TV and CNN. A raccoon makes its way into Michigan affiliate WEYI's studio, scaring the news anchors. WEYI's Liz MacFarland and Bryan Hughes had a surprise guest appear during their morning show. 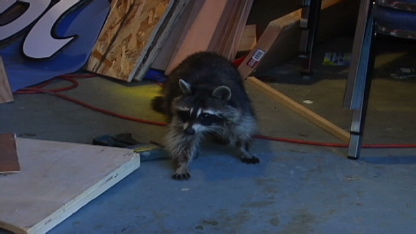 See how they handled themselves when a raccoon invaded the NBC25 studio. Filed under: Gotta Watch • Media • U.S.
Berkshire Hathaway CEO Warren Buffett has disclosed he has been diagnosed with stage I prostate cancer, but says it is not life-threatening. 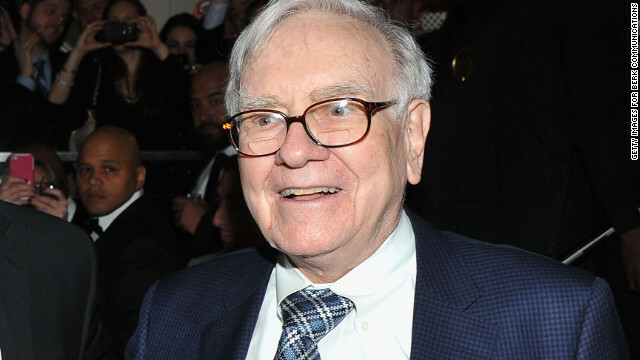 In a letter to Berkshire Hathaway shareholders, the 81-year-old billionaire (pictured) said he received his diagnosis last week. "The good news is that I’ve been told by my doctors that my condition is not remotely life-threatening or even debilitating in any meaningful way," Buffett said in the letter, which the company released Tuesday. iReporter Danny Mills went to the beach to see the shuttle pass by. "I will look forward to visiting her new home one day soon." 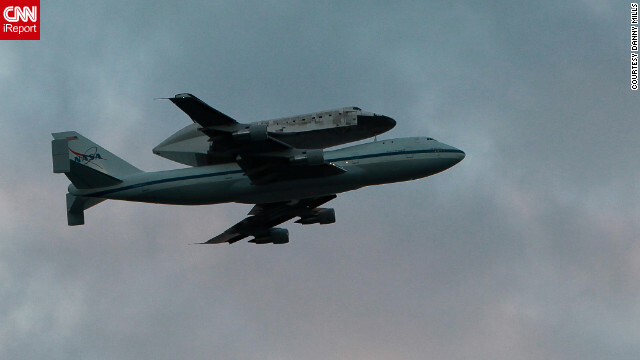 Star-struck space lovers gazed skyward Tuesday to watch space shuttle Discovery's journey to Washington after a series of nostalgic fly-bys on the back of a NASA Boeing 747. The flight departed from Florida's Kennedy Space Center en route to Dulles International Airport in Virginia. It will spend its retirement at a Smithsonian National Air and Space Museum facility in Chantilly, Virginia. The photo at the top was shot by rocket technician Danny Mills of Cape Canaveral, Florida, who joined several other iReporters in documenting the shuttle's journey from point A to point B. Mills went over to Cocoa Beach to see the shuttle. He used an often-mentioned word to describe his feelings. 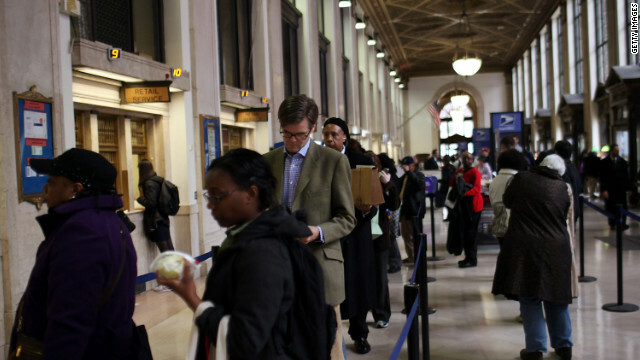 Electronically filing federal and state returns with tax software isn't just swift – it can be free for people whose adjusted gross income is $57,000 or less. Fifteen companies are offering their tax software for federal returns through the IRS’s website. Some other restrictions – such as age, state and military status – may apply, depending on the company. Some of these companies support free filing for state tax returns; some offer state service for a fee. 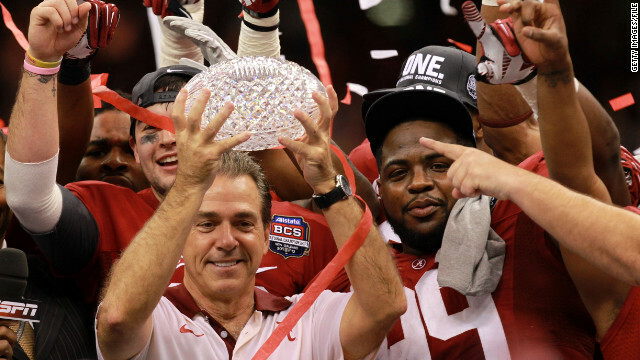 Alabama head coach Nick Saban holds the AFCA Coaches' Trophy after Alabama beat LSU 21-0 in January's BCS title game. The University of Alabama's crystal prize for winning last season's college football championship had a pretty short shelf life - and somewhere, a player's parent is blushing crimson. The roughly $30,000 Waterford crystal football that tops the trophy from the American Football Coaches Association fell and shattered on Saturday when the father of an Alabama player caught his foot on a rug where the trophy stood at Alabama's Mal Moore Athletic Facility, according to CNN affiliate WIAT and ESPN's Alex Scarborough. The accident is said to have happened after the Crimson Tide's annual intrasquad spring game, which 78,526 fans watched Saturday at Bryant-Denny Stadium in Tuscaloosa. Scarborough's Twitter account has a picture of what he says is a tiny piece of the broken crystal prize, made in Ireland. A man was arrested after attempting to hold up a convenience store with a pair of tongs. 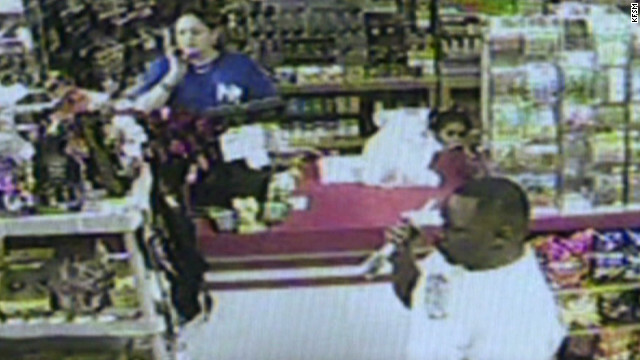 Sometimes we get police and surveillance videos of transgressions that are truly bizarre. From strange weapon choices to animal thefts to downright wacky behavior, you've gotta watch these would-be criminals - who may or may not be under the influence. 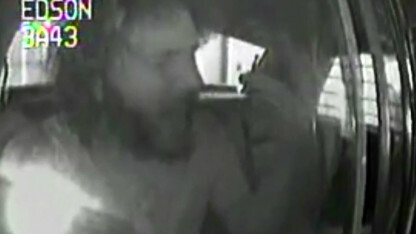 Here’s a new one: this man is seen on video trying to rob a gas station with hot dog tongs. The customers almost seem more amused than frightened. You’ve got to see what he does before the police arrive. 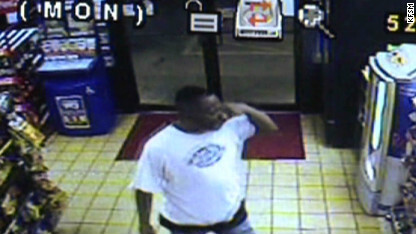 Here’s a new one: this man tried to rob a gas station with hot dog tongs. The customers almost seem more amused than frightened. You’ve got to see what he does before the police arrive. 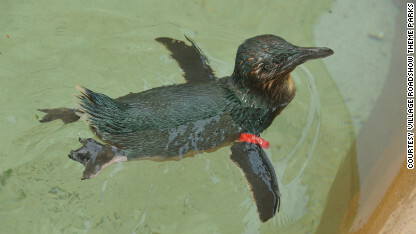 Three men in Australia allegedly broke into a Sea World, swam with the dolphins, and stole a penguin. See what they did when they discovered the penguin in their apartment the next day. Remember that scene from “The Hangover” where the guys wake up to discover a tiger in the bathroom? Well three men in Australia allegedly broke into a Sea World, swam with the dolphins, and stole a penguin. See what they did when they discovered the penguin in their apartment in this real-life escapade. This man is caught on dash cam video singing an a cappella version “Bohemian Rhapsody” in its entirety. He gets all of the lyrics right, and only ad-libs once. Listen to his witty improvisation. This man is caught on dashcam video singing an a cappella version “Bohemian Rhapsody” – in its entirety. He gets all of the lyrics right, and only ad-libs once. Listen to his witty improvisation. Russia's top diplomat took a shot at the Western and Arab attempts to bring democratic change to Syria Tuesday. Foreign Minister Sergey Lavrov singled out the Friends of Syria, the coalition of dozens of nations led by the United States and the Arab League calling for tough action against the Damascus regime. "There are outside forces that are not interested in the success of the current U.N. Security Council efforts," Lavrov told reporters. "They are trying everything possible to substitute the Security Council with various unofficial formats such as the 'Friends of Syria' or some other forms," he told reporters Tuesday. "And (they are trying), with everything possible, to influence the Syrian opposition so that it doesn't work with the government in maintaining a cease-fire and setting up future dialogue." Lavrov made the remarks as monitors tried to observe a U.N.-backed cease-fire that was supposed to be in effect since Thursday. They are reviewing the government and opposition forces' adherence to special envoy Kofi Annan's six-point peace plan, which calls for a halt in violence, humanitarian access and an "inclusive Syrian-led political process." Annan's effort is supported by the Syrian regime, Russia, China, the United States, Turkey and the Arab world. After a relative drop-off in reported deaths immediately after the Thursday cease-fire deadline, violence has persisted in Syria. At least 47 people were killed across the country Tuesday, the opposition Local Coordination Committees of Syria said. Guinea-Bissau has been suspended from the African Union in the wake of last week's military coup. The suspension remains "until the restoration of constitutional order," the union said Tuesday. The union cited the "recurrence of illegal and unacceptable interference of the leadership of Guinea-Bissau's army on the politics of the country, creating instability and culture of impunity, which have hampered the development of the country." About 1,500 Palestinian prisoners held in Israeli detention began an open-ended hunger strike Tuesday as Palestinians across the West Bank and Gaza gathered in various events to observe the annual Prisoners' Day, marking solidarity for the thousands of Palestinians in Israeli prisons. The Palestinian Prisoner's Association Club, an inmate advocacy group, said there were 1,500 prisoners taking part in the hunger strike and suggested that more from a range of Palestinian political factions were expected to follow. "The Palestinian detainees who are on hunger strike are protesting Israel's treatment to prisoners inside the Israeli prisons," said Amani Sarahna, a club spokeswoman. "They are protesting Israel's policy of administrative detention and solitary confinement for prisoners for months at a time. They are protesting the arbitrary fines imposed on prisoners by the Israeli authority, the prevention of families especially of those from Gaza." The last five bodies recovered from the wrecked Costa Concordia cruise liner have been identified, the mayor's office in the Italian city of Grosseto said Tuesday. Two Americans, Barbara Heil and Gerald Heil, were among those named in the statement from the mayor's office. The others are identified as two Germans, Christina and Norbert Ganz, and an Italian crew member, Giuseppe Girolamo. Two people remain missing, the mayor's office said. The race to the presidency can change at the drop of the hat. CNN.com Live is your home for all the latest news from the campaign trail. 8:30 am ET - GSA spending controversy hearing - Another day, another Congressional hearing on questionable spending at the General Services Administration. This time, a House infrastructure subcommittee takes up the controversy. One of the judges in the murder and terror trial of Norway's Anders Behring Breivik was disqualified Tuesday for saying online that the death penalty was the right punishment for the man who killed 77 people in July. Defense and prosecutor attorneys both asked that Thomas Indrebo be disqualified for leaving a comment on a news website that "only the death penalty" would be the right thing in the case. Breivik smirked as Judge Wenche Elizabeth Arntzen laid out the objection. He is expected to testify Tuesday. Arntzen ruled that his testimony would not be broadcast, rejecting his claim that airing it was a human right. Most of the relatives of the victims did not want Breivik's remarks broadcast. Human rights reforms in Bahrain are inadequate and have failed to provide justice for victims in the aftermath of last year's government crackdown on opposition protesters, Amnesty International said in a report Tuesday. "The authorities are trying to portray the country as being on the road to reform, but we continue to receive reports of torture and use of unnecessary and excessive force against protests," said Hassiba Hadj Sahraoui, the group's Middle East and North Africa deputy director. "Their reforms have only scratched the surface." Bahrain's Independent Commission of Inquiry issued a report in November that was highly critical of the authorities' reaction to the protests, which began in February 2011, spurred by uprisings in Tunisia and Egypt. The demonstrations failed to gain the traction of other Arab Spring uprisings following a crackdown by the authorities in the island state, backed by troops from nearby Saudi Arabia and the United Arab Emirates. The attorney for George Zimmerman, says he is confident his motion to have a Florida judge removed from his client's case will be granted. "I think she's going to go ahead and grant it and move the case on to another judge," Mark O'Mara, the lawyer, said Monday night. Zimmerman's defense team formally requested Monday that Seminole Circuit Judge Jessica Recksiedler, the Florida judge assigned to their client's case, be removed after she revealed her husband works with a CNN legal analyst. O'Mara's office filed paperwork Monday asking that Recksiedler not preside over second-degree murder proceedings involving Zimmerman and the motion to "disqualify" the trial judge "will be ruled on in the appropriate manner," a court official said. Mississippi's governor has signed into law a bill requiring physicians performing abortions in the state to be a board-certified obstetrician-gynecologist and to have admitting privileges at an area hospital. "I believe that all human life is precious, and as governor, I will work to ensure that the lives of the born and unborn are protected in Mississippi," Gov. Phil Bryant said in a statement Monday. He has previously expressed his desire that the state become "abortion free." Seven other states require abortion providers to have hospital privileges, but no other state requires that an abortion provider be an OB/GYN, said Elizabeth Nash, state issues manager for the Guttmacher Institute in Washington. Though the 1973 Supreme Court landmark decision in Roe v. Wade made abortion legal in all 50 states, Mississippi's law could make the state the first where no abortions could be performed, she said. "It's an attempt to eliminate access without taking on Roe directly." Mississippi has only one abortion facility, Jackson Women's Health Organization. Should it close, Mississippi women seeking abortions would have to leave the state. Two Oklahoma daycare workers are facing felony child abuse charges after allegedly feeding habanero hot sauce to a 13-month-old boy and laughing as the infant writhed in agony.The incident occurred in March at a daycare in Muscogee Creek Nation, a federally recognized tribe of Muscogee people based in Oklahoma. Video footage of the incident shows the daycare workers feeding the infant rice that had been doused with the hot sauce, according to court documents filed last week. "The video show that shortly after eating from his second plate (the infant) appears to be in distress," court documents said. While the infant appears to be in pain, one of the workers is seen laughing.